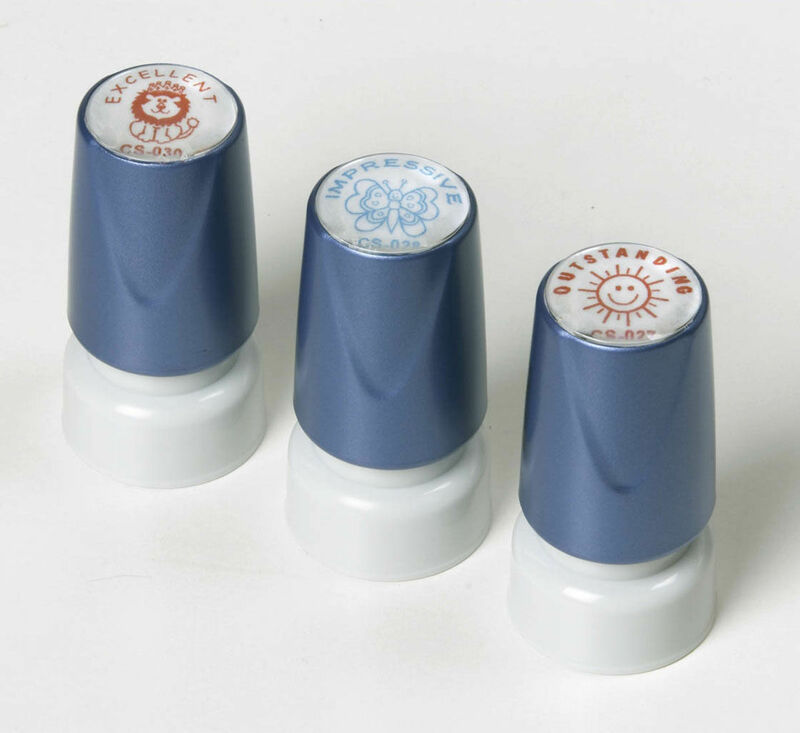 Merit Stamps are ideal for encouraging and rewarding children. 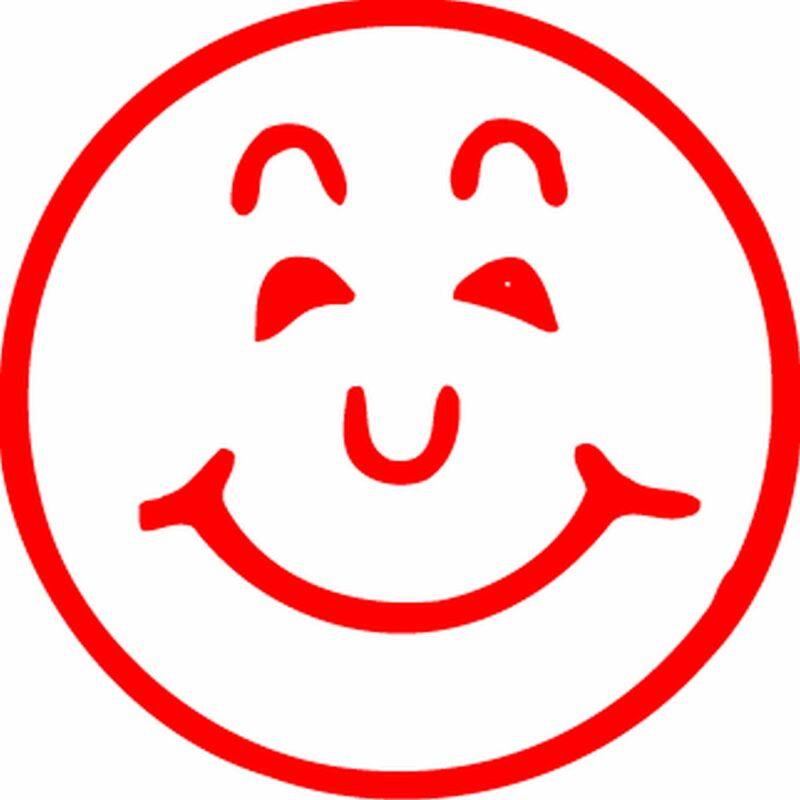 They are great for school work, home work, play and good behaviour. It is important to positively reinforce children in these activities. Create a fun environment for children today. 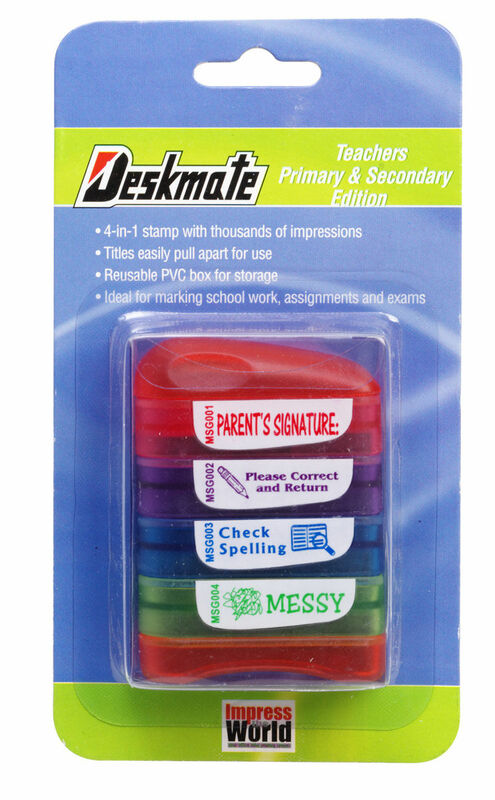 Teachers BUNGI Stamp set with 8 titles is a great starter pack for any teacher. Ideal for rewarding and encouraging children. Great starter packs for teachers in set themes. 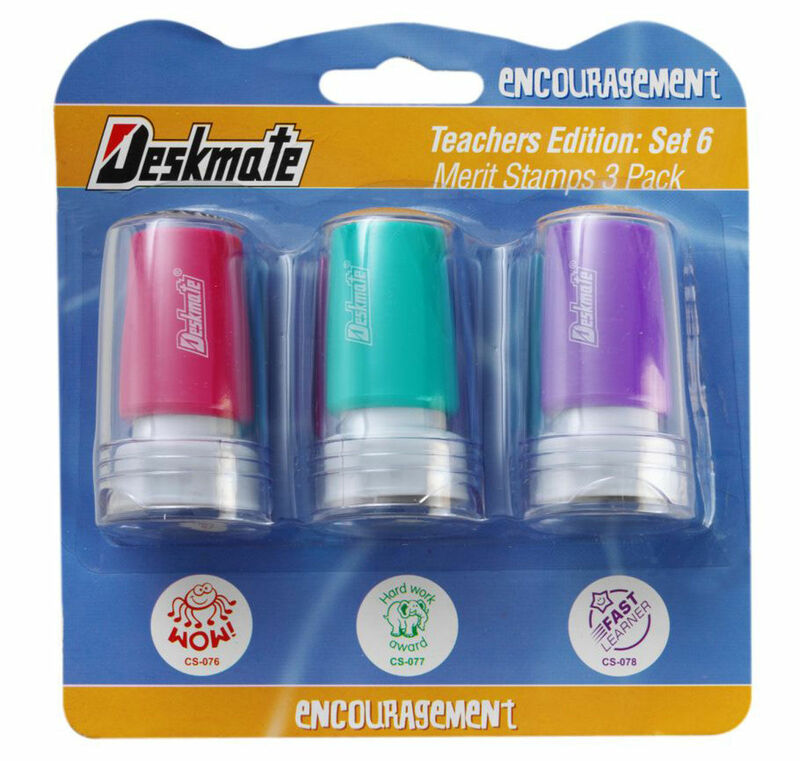 4 stack multi coloured teachers stamps. 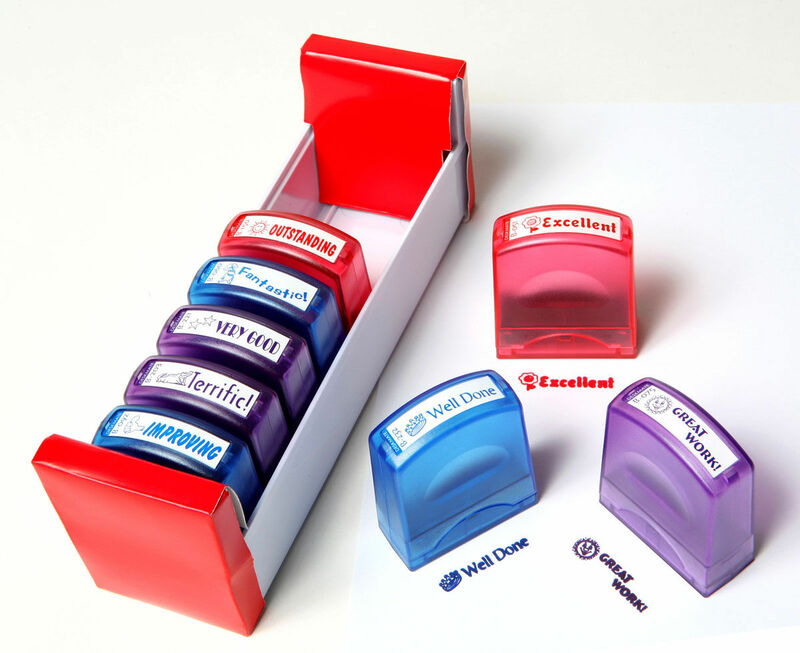 Pre-inked and re-inkable, Xstamper stock title stamps deliver thousands of crisp clear impressions before re-inking is necessary.